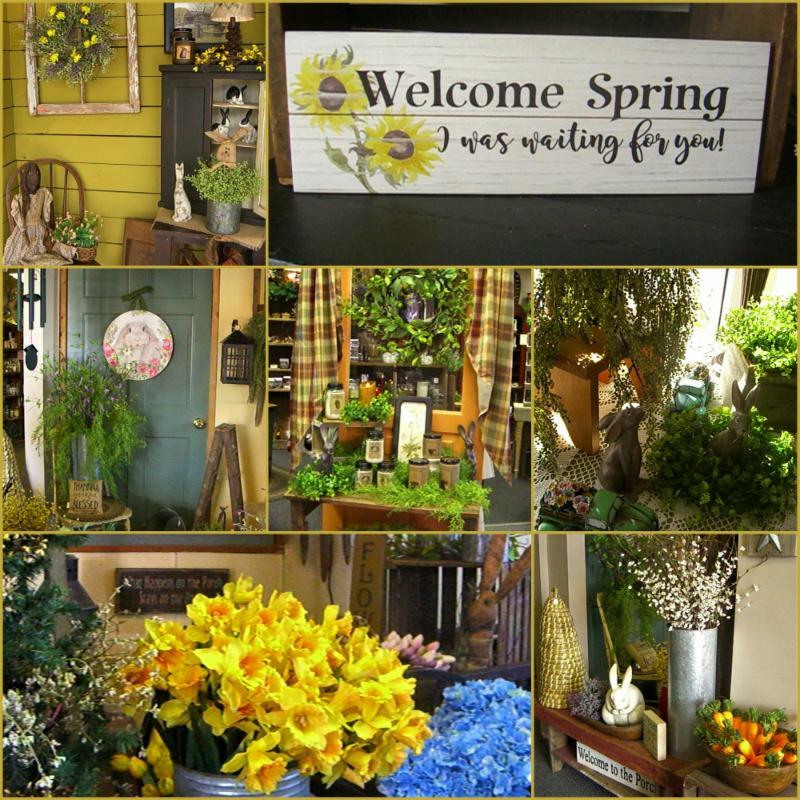 This weekend, along with celebrating spring right around the corner, we are celebrating 16 years in business. How fast that time has gone by! If you’re nearby or will be in the area, stop in, we think you will enjoy the time spent with us! This year, as in the past – we’ve placed ornaments on a tree displayer, and asked for a donation of $2 each. This Giving Tree has already collected $275+ in donations that we will divide between New Hope Ministries in Hanover and Ruth’s Harvest also in Hanover. The tree will stay up till the end of December and donations will be dispersed then. We thank all who have and will participate in this project – you have been so generous in your support. You don’t want to miss this . . . Please join us to shop from our great selection of Holiday gift and decor merchandise. Bring along your shopping list — we’ll help you check it off! Come to shop and come for the fun . . . dip and sip with our food and beverage sampling . . . sign up for door prizes . . . flash sales . . . and more! We’ve been moving out some spring and summer merchandise – had our sidewalk sale earlier in June – and still have a few things to move on for someone else to enjoy! Many of you are beach people, so we had some goodies in the shop this summer for you – still have a few things – our fav’s are these great canvas flamingo bags (@ 60% off), glass windchimes(also marked down) and these pretty Heritage Lace Starfish Valances with bits of ‘seaglass’ dangling from the hem. Our spring and summer florals are available at 50% off till they are gone and we still have some other treasures reduced to sell. And, though right now we just have enough out to tease what’s coming for fall, by mid-August there should be enough to know fall is just around the corner. Fall Open House is September 6,7,8 and 9 during our regular shop hours. You can check back here or at our Facebook page for more info about what’s going on at the shop! We are getting ready for our annual SUMMER SIDEWALK SALE! Stop by during our regular shop hours to get some fantastic buys! Clearance prices on lots of seasonal and everyday merchandise; discontinued braided rugs and accessories; florals and wreaths; one-of-a-kind items; photo frames; signs; an antique steamer trunk we used for displays; and lots of things too numerous to mention. Sale priced merchandise cannot be returned for refund, exchange or credit. Birthday discounts and Rewards Certificates are not available to be used on Clearance priced treasures.